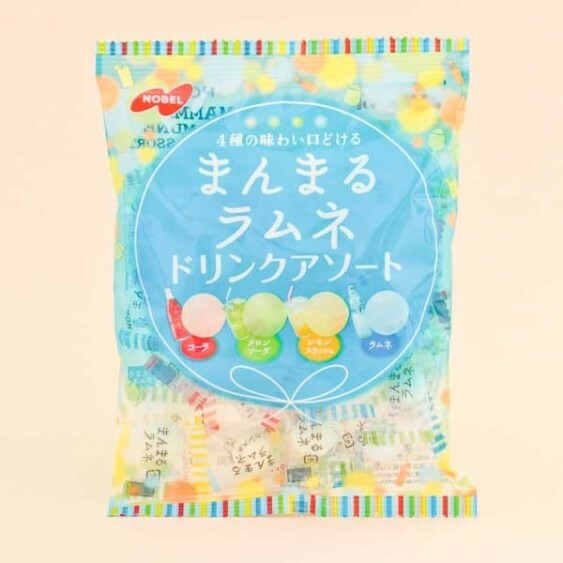 The bag is filled with sweet ball-shaped candies of 4 different fizzy ramune flavors! 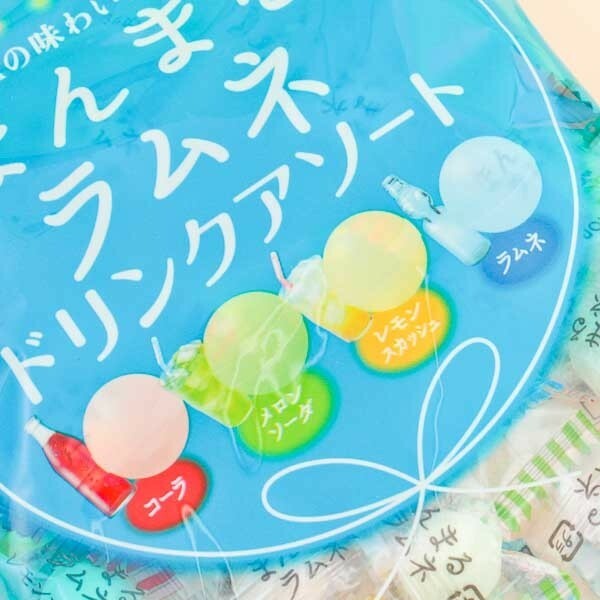 Choose your favorite from cola, melon soda, lemon Squash & Ramune tastes. 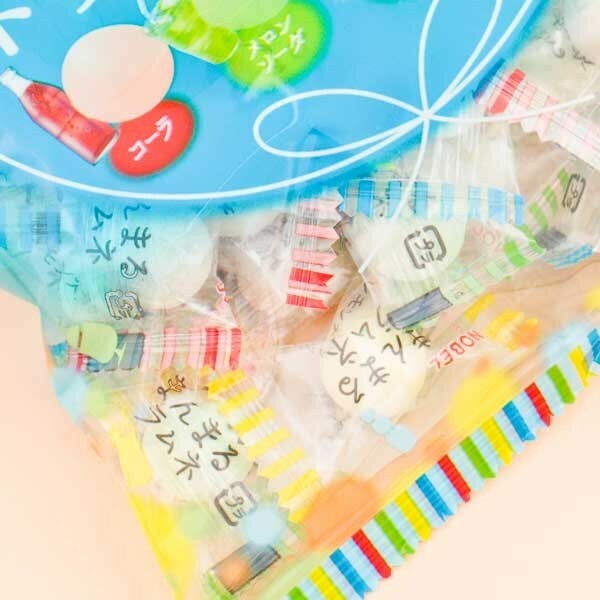 It's easy to grab several candies to-go and share with friends as every treat is wrapped individually. Yummy!